When Romantic poets Messenger arrived on the scene in 2014 with the worshipful offering that was Illusory Blues many sat up and took notice, for here was a band out of time, a band in that old post-hippy mystic sense, one step removed from everything around it, existing in its own glorious Elysian field. News of a new Messenger album brings with it anticipation, how will they have developed? Well the answer is that Messenger have opted for a louder, far more full-on sound than that employed on their psych-pastoral debut, an album that won a lot of justified praise from critics and fans alike. This time round, all five band members have contributed to the songwriting, which results in a much fuller and more confident sound. 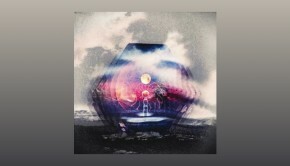 Elsewhere we have coruscating distrust of the militaristic industrial slave masters on Oracles Of War, but even here an optimism peeks through as “Heaven is just over the wall”, and indeed there are notable lines of prose all the way through the album. Whether it’s souls damaged by love, the throw of Fate’s dice or finding a way to salvation, these are tales that are illuminated by good use of language, a dying art in these days of glib soundbites from the poorly read. The double punch of the slow and righteous build of opener Calyx followed by the eight minutes plus of Oracles Of War illustrates the heavier musical approach taken here, the latter with its duelling Thin Lizzy guitars dancing over a thunderous backing to some good effect. Fans of the debut need not worry, for the band have not forgotten the more introspective and psychedelia-infused side of their nature, displayed in all its finery on the following Balearic Blue, which still manages to become epic, but not in a heavy rock sense containing as it does the most irresistible hook on the album as it builds to a joyous crescendo and that chorus highlighted above, on the back of Jaime Gomez Arellano’s skipping rhythms. A meeting of the two styles occurs within Celestial Spheres, and the big production sounds great as I blast it out through the hi-fi, and I can discern an openness about the production which adds another layer to the sonic bluster. In places inhabiting a similar place to Syd Arthur, the two bands form an unwitting vanguard for the nu-psych prog that is coming to the fore these days. 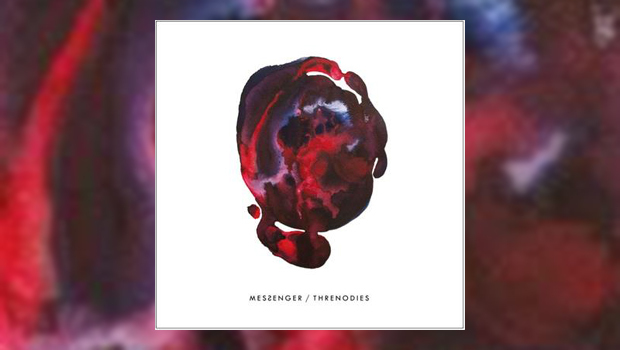 In much the same way that Amplifier surprised their following by taking a sidestep and coming out with a loud trad-rock album with Echo Street, so Messenger appear to have pulled a similar move with Threnodies. However, as this is only their second album it is a natural development and a step on from their debut and perhaps indicative of where they are headed, rather than the neat body swerve enacted by Amplifier. This is a BIG record in every respect, and Messenger handle the bombast and bluster with an easy confidence. You can well imagine this being played in stadiums, and again like Amplifier, that is where this band should be if there was any justice, or more pertinently if the music scene still had the cultural impact of 20 years and more ago. Threnodies is imbued with the spirit of rock giants of the past and it is soon apparent that Khaled Lowe and his troops are well and truly back in town, born to be wild. The fabulously blurred edged production gives the sound an otherness that sets it apart. The drums sound like they were recorded in the hallway because that was the only place where the sonic ambience was “just so”, a la Bonzo at Headley Grange. It’s probably all done digitally, but leave me to my fantasies, if you will! 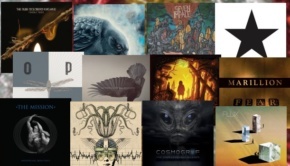 Nods to influences as far apart as Sabbath and Nick Drake, the aforementioned Thin Lizzy, and not so subtly to Pink Floyd near the end of Pareidolia give you an idea of what lies within the treasured record collections of the Messenger massive. They might not be pushing the envelope anywhere with Threnodies, but the strength of the songwriting shines through, and in a similar manner to Big Big Train manage to transcend their sometimes obvious supplications at the altar of the past, which is far easier said than done. In an age where there is an increasing connection between the listener and the musicians via social media, thus removing the rock star mystique of old, where there is also no longer any aesthetic value in the published product as it soon becomes submerged in the ever rising tide of zeros and ones on a hard drive, or worse confined to a streaming playlist, Messenger have strived to make their sound different, slightly apart. One hopes that this is enough to garner them the continued burgeoning attention they so richly deserve.